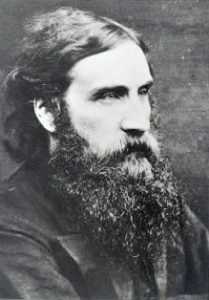 Editor’s note: C. S. Lewis wrote of George MacDonald, “I have never concealed the fact that I regarded him as my master; indeed I fancy I have never written a book in which I did not quote from him.” The 19th-century Scottish pastor, poet, and storyteller has had a huge, though often overlooked, impact on modern Christian attitudes towards the imagination through more well-known writers like Lewis, J.R.R. Tolkien, G.K. Chesterton, Madeleine L’Engle, and others who were influenced by him. As a novelist and a poet George MacDonald was certainly blessed with a fertile imagination. But he was also a critic who thought long and hard about the nature of human imagination and its uses. And, as a Christian, he wanted to be able to give some account of just why it was that God made us imaginative as well as intelligent and moral beings. . . . This is striking in what it tells us both about ourselves and about God. Biblical talk of human creation “in the image and likeness of God” has generally been linked to our ability to think intelligently and to discern right from wrong. But here MacDonald links it unashamedly to that part of us which writes poetry and tells stories, sees patterns in the clouds and hears the music produced by a bubbling brook, and which is too busy wondering what might be the case to be constrained by whatever appears to be. . . .